Capitol Hill won’t see Susan Rice any time soon. Former National Security Adviser Susan Rice certainly has a reason to seek immunity. Besides the atrocity of Benghazi and the outright lies in that cover-up, the Obama administration committed other egregious acts. Wiretapping journalists and threatening them as well. We reported that the Obama administration prosecuted more journalists than all other administrations combined, yet the press fawn over the man. Perhaps the biggest bombshell involved the spying on then candidate-Trump. Because of the revelations around the Trump surveillance scandal, rumors float that Susan Rice may have requested immunity in order to testify. The panel is conducting one of several investigations tied to the now thoroughly debunked Russian narrative. There clearly existed no up side for the bogus narrative. Nevertheless, Democrats intended to play the scenario out to the tortuous end. 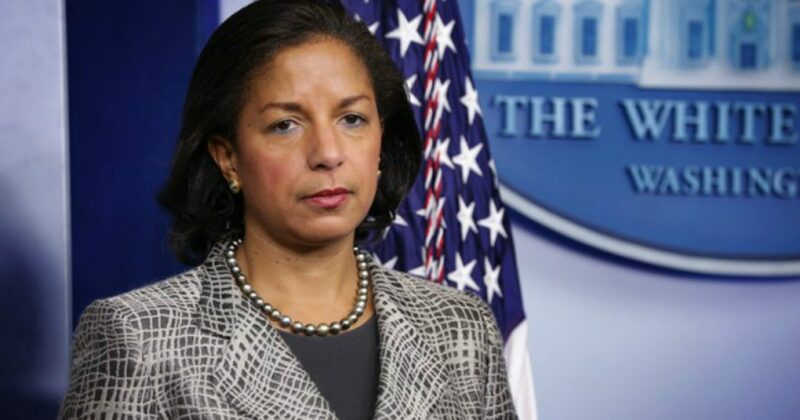 Rice originally told an interviewer at PBS, “I know nothing about this,” when asked about the unmaskings, but has since acknowledged she did, in fact, ask for the names of Trump campaign associates to be revealed. She then refused an invitation to testify before the Senate committee looking into the scandal because the request was not bipartisan. According to Rice, she did no wrong. Her authorization came from Obama. But Jordan’s query isn’t limited to Rice. He also raised concerns about how Obama Attorney General Loretta Lynch handled the Clinton email investigation and whether James Comey exposed classified information in an apparent effort to retaliate against Trump firing him as FBI director. By now the public is well aware of the collusion between Lynch and the Clinton campaign. And Comey aided in the cover-up. But Rice still needs to answer questions under oath, as opposed to making the media rounds. Evidently, Rice fears answering questions to the myriad of discrepancies in her own stories. To avoid scrutiny that could land her in prison, Rice has postponed her testimony indefinitely. Laughably, Rice spokeswoman Erin Pelton claims Rice is cooperating with investigations, a “Clintonian” definition for “cooperation” if there ever was one. Rice won’t be able to run from this scandal indefinitely. She doesn’t have Obama to grant immunity, nor can a President Hillary Clinton offer cover.